Are you having family or friends over to celebrate the 4th of July? 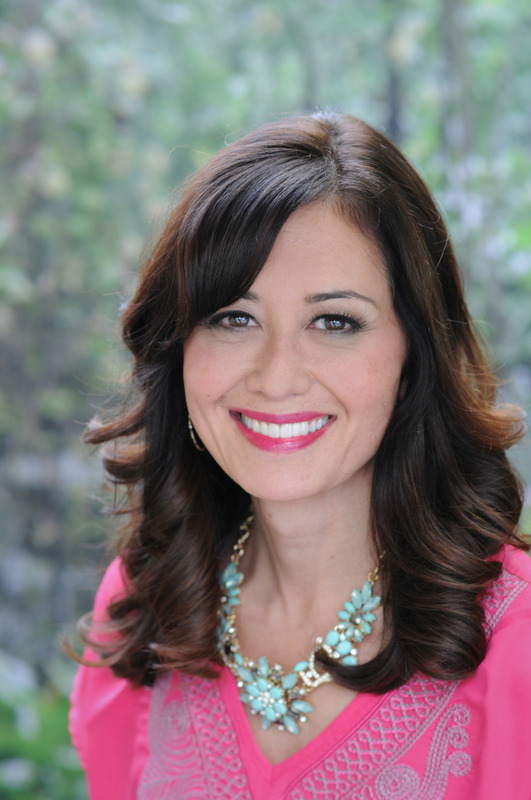 Give you party a boost with some simple, no-fuss DIY ideas to make your celebration a cinch! 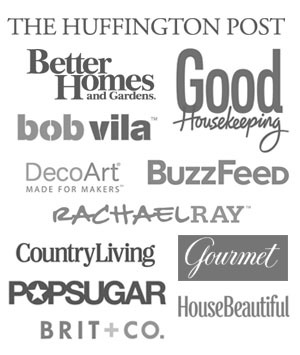 A banner can set the stage for a soiree… but who has time to stitch one up? 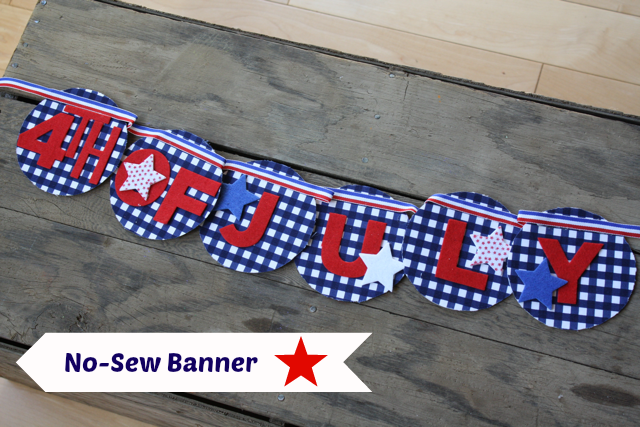 This festive fabric banner doesn’t require any sewing! Supplies: Fabric, Craf-Tex Fusible Coasters, Fabric, ribbon, self-adhesive red felt letters, scissors, Beacon 3-in-1 Advanced Craft Glue and Darice Felties Star Stickers. Find all these supplies at Ben Franklin Crafts and Frames Redmond. -Following package instructions, iron fabric on to the round coaster, using a press cloth. -After it cools down, cut around circle shape with scissors. Repeat 6 times. What’s the best kind of placemat to use at a BBQ? The kind that it’s easy to clean. 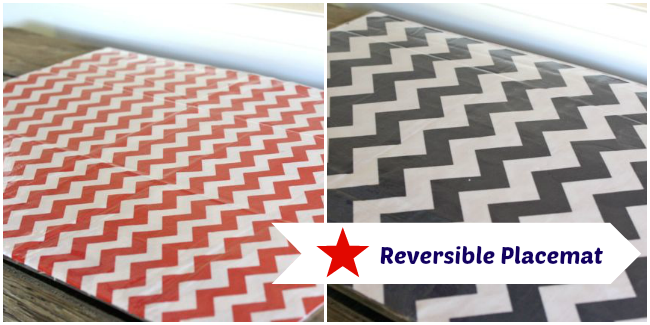 This reversible placemat gives you two looks and easily wipes clean. Supplies: Heat n Bond Iron On Vinyl, 2 coordinating Fat Quarters of fabric (18″ x 22″ inches each), an iron and ironing board. Find all these supplies at Ben Franklin Crafts and Frames Redmond. -Peel vinyl from protective paper and place sticky side down on top of material, leaving at least a 1/4 inch seam allowance throughout. Place the protective paper on top of vinyl. -Press and hold for 8 seconds and repeat until surface is laminated. -Flip over and do on opposite side. 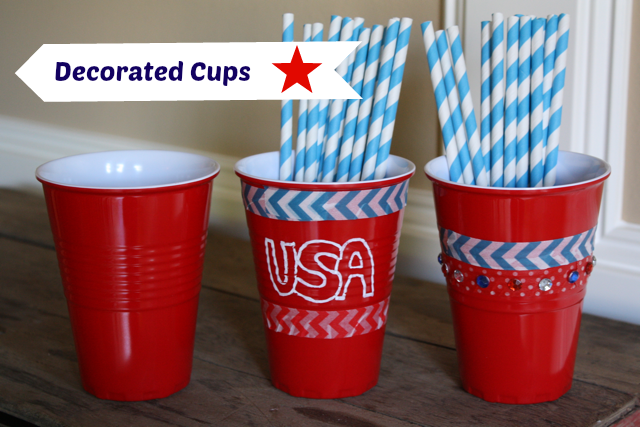 You’ve been using plastic party cups for years– why not offer your guests the sturdier version that they can personalize? An added bonus is that they are dishwasher safe. Supplies: Sturdy red plastic cups from One Hundred 80 Degrees, Marvy Bistro Chalk Markers, Darice Finishing Accents (gems), Trendy Tape in blue and red. 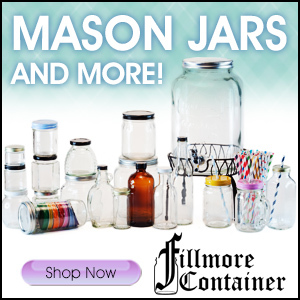 Find all these supplies at Ben Franklin Crafts and Frames Redmond. -Personalize with Chalk Marker, Trendy Tape and gems! If you do personalize, carefully hand wash.
Upgrade some inexpensive decor with yarn. It can give ordinary items a fresh look. 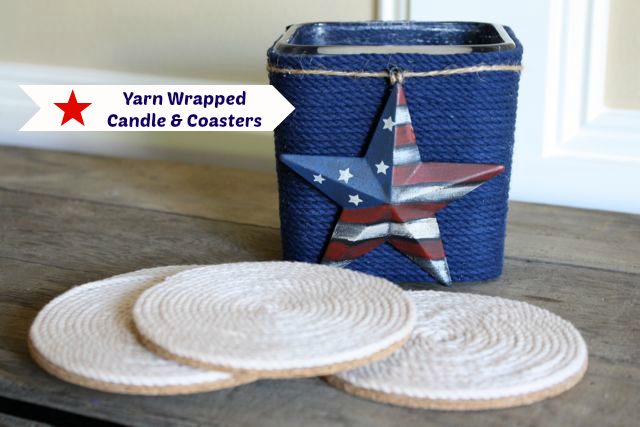 Supplies: Ella Mae (Cotton) Yarn, Glass Candleholder, Darice Cork Collection Coasters, Beacon 3-in-1 Advanced Craft Glue, scissors, patriotic metal star. Find all these supplies at Ben Franklin Crafts and Frames Redmond. -Put a thin line of glue on top of glass candle holder, add yarn, continue process, wrapping around candle until candle is covered in yarn. Add star for decoration. -Put dab of glue in the center of cork coaster, continue adding glue and wrapping yarn in a circular shape until coaster is covered. Continue until all four coasters are done. 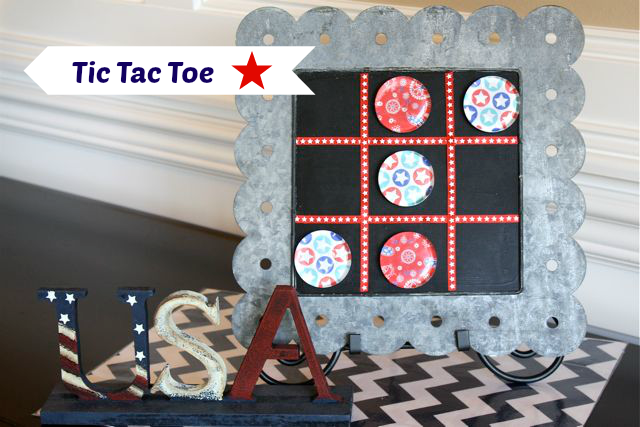 Keep young guests occupied with this easy-peasy portable Tic Tac Toe set. Supplies: Magnetic Board, ribbon, glass drops, circle punch, 2 sheets of patterned red, white and blue scrapbook paper, Mod Podge, magnets and Beacon 3-in-1 Advanced Craft Glue. 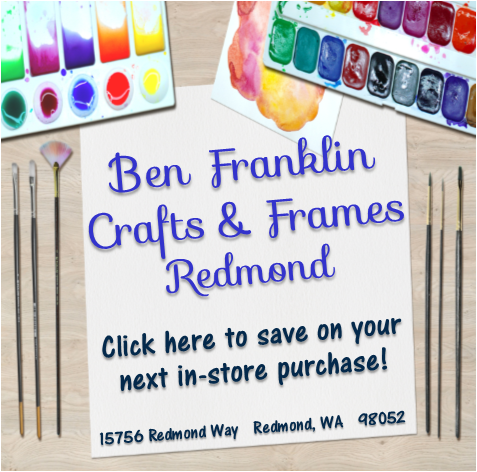 Find all these supplies at Ben Franklin Crafts and Frames Redmond. -Apply a thin coat of Mod Podge to top of paper, place glass drop on top. -When paper has dried, add a magnet on back with a dab on craft glue. Have a fun and festive 4th! Such cute ideas. I especially love the tic tac toe set! Adorable!! Great ideas even slightly un-crafty me may be able to pull off. I especially like your banner! Very nice ideas! Lovely! I can’t wait for the 4th of July. It is one of my favorite holidays! Love your banner!! So cute!! Actuallly, I love all these ideas!! So fun and I’m in the patriotic mood! The tic-tac-tough board is so fun! Thanks for the great ideas!! 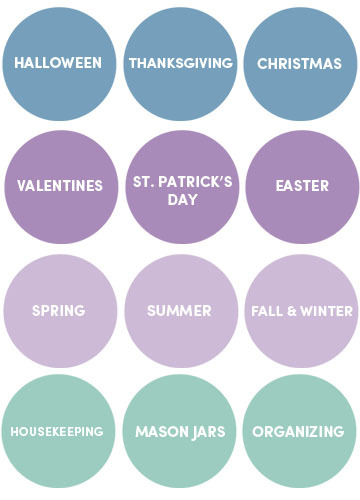 Cute ideas and they all look quick and easy to make! Great idea to use coasters to make a banner. Love the placemats, too! 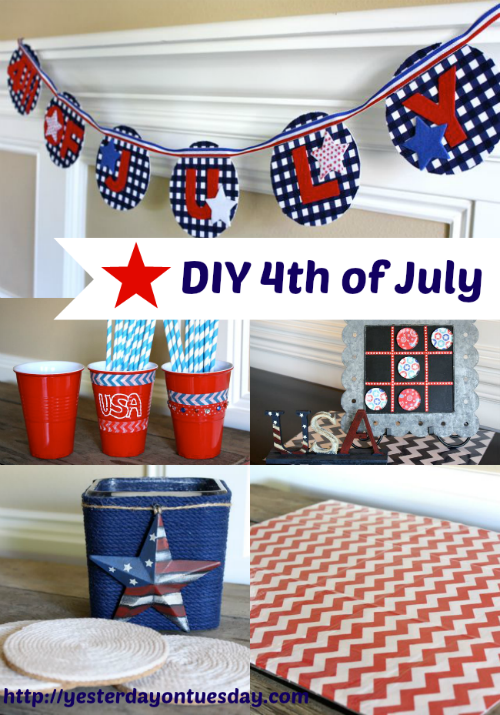 What fun and festive decorations for the fourth! 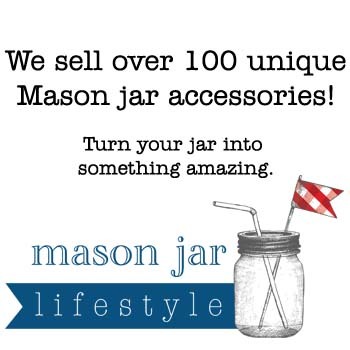 Thanks for sharing this lovely post!